When working with clients with diabetes, massage therapists need an understanding of the condition, how clients can benefit and potential complications. Explore AMTA’s newest online CE designed to give you an understanding of how to work with massage clients with diabetes, as well as a workshop on the topic of massage and diabetes at the AMTA 2017 National Convention. Learn the symptoms, treatments and common conditions in clients with diabetes, and find out how they might benefit from massage in this new online CE course. Diabetes research for new approaches and the science behind them, and get tips on communicating with health care workers. This new CE meets the research requirement for NCBTMB Board Certification renewal. The incidence of all types of diabetes has increased, especially type 2 diabetes. Understanding the etiology, risk factors, signs and symptoms, possible complications, treatments and medications for diabetes empowers practitioners to create a safe and effective massage experience. Julie Goodwin will present this session at the AMTA 2017 National Convention on Thursday, September 14 in Pasadena, California. AMTA offers online courses on massage for specific conditions, ethics, sports massage, research, self-care and business. 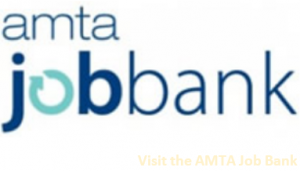 Rest assured knowing AMTA’s CE is rigorously vetted and submitted for state continuing education.